It's that time of year when the weather gets cooler and warm items like soups, chili's, and warm drinks become popular again. I absolutely love making hot apple cider this time of year, but this time around, I decided to change it up a bit. The Cidertini served at the White Mountain Cider Co. in North Conway, NH is what inspired me to make this drink. Once I tasted their delicious cocktail, I knew I had to recreate it. If any of you are ever near North Conway, you must eat here! Reservations are strongly suggested (Dave and I were lucky and got the last reservation at 9pm). But trust me when I say that this restaurant is well worth the wait! Now I of course could not recreate the Cidertini perfectly, because the White Mountain Cider Co. makes their own cider fresh and even uses a reduction in this cocktail, but I did come pretty close! Take two martini glasses and moisten the rims of the glasses with either water, simple syrup, and/or alcohol. I just used simple syrup so that the cinnamon-sugar mixture would stick to the edge. Make sure the cinnamon-sugar mixture is on a plate or bowl that is larger than the glasses so that you can tip the glasses upside down and dip them into the mixture. Once you have your beautifully coated martini glasses, fill a martini shaker with ice, and add in the applejack, orange curacao, cider, and splash of lemon juice. Shake well. Pour out into the martini glasses, garnish with an apple slice or peel. Enjoy! This sounds (and looks) awesome. I love the apple slices! I enjoy apple martinis, I'm sure I would love this! What a lovely cocktail! YUMMY! Great pictures as well. Great way to amp up a martini-I will need to try your apple cider version. Stunning picture! Mmmm! This looks super delicious :) Love it when places inspire you to create something wonderful at home! Wow this martini looks fantastic! 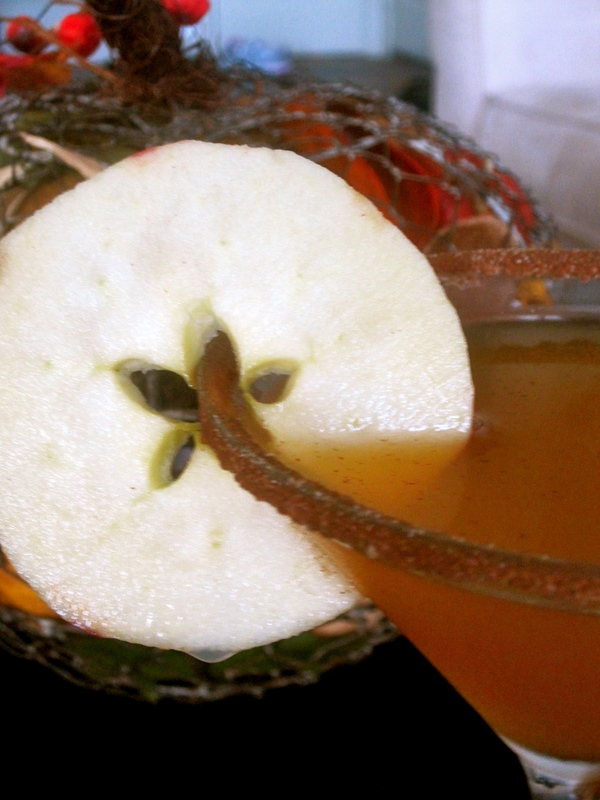 I love apple cider, and the apple garnish is beautiful! wow such interesting martini! can't wait to try this out! This is totally buzzed!! I love the idea AND your presentation. How pretty and completely festive! Such a great idea! Love the garnish too - adorable. I could make this for a fall party!!! Totally buzzing this! 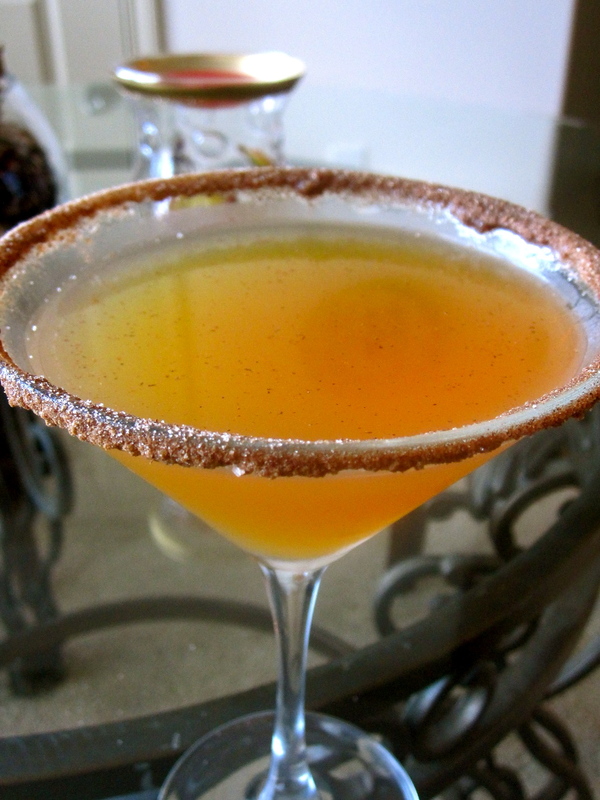 Oh this apple cider martini looks so beautiful... I just love how you carved out the apple seeds in the slice you use for garnish. What a great effect! This sounds amazing! 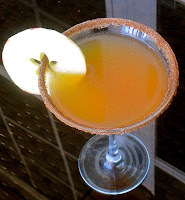 I love an apple martini, this sounds even better! This looks awesome and dangerous! It looks delish! Congrats on Top 9! That sounds so delicious Elyse! I wish I could sip on one of those right now!!! Wow - can just imagine all these flavours packed in there, including the orange. Cheers to autumn! Fabulous. Great drink for autumn. Looks so easy to put together. This looks beautiful. A great fall drink! Very nice and Congrats ob Top 9! i'm totally making this - fall comfort in a glass :)! I've been wanting to make an apple cider inspired cocktail - this is wonderful, as are your photos! 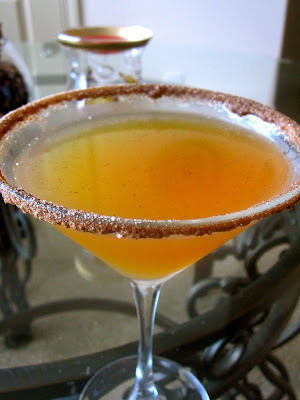 I recently made a Pumpkintini - using Godiva Pumpkin Spice Coffee as the base. Now I have another great spirit to add to my Fall cocktail list! Oooo a pumpkintini sounds awesome! I'll have to try that too! New follower. I have no idea how I wasn't before. Congrats on top 9. Beautiful pictures and tasty drink. Love the apple slice on it. This looks delish! Is 1:30 too early for a cocktail? That looks amazing and I love the garnish! this sounds delicious! congrats on top 9! Yum! I love cider anything and the apple looks so pretty as a garnish! I just stopped at the apple orchard and picked up some cider. 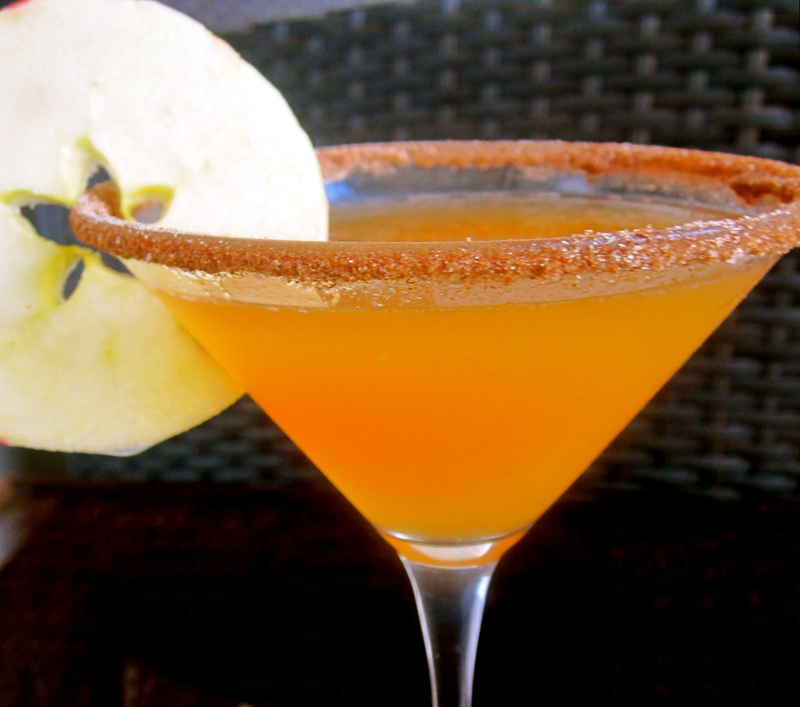 Can't wait for Apple Martini happy hour tonight! 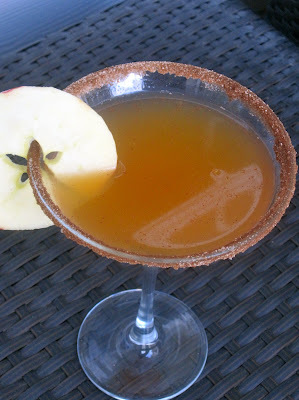 ahhh i love the apple cider martini idea. :) welcome to our #applelove blog hop! have a great day! Absolutely perfect looking martini and so befitting for this time of year. Well done! Congratulations! We wanted to inform you that this post has been selected as a featured Archive Post during the month of October.